Finding the best pair of in-ear headphones while you are on a budget can be an unnerving task. Although the choices are available, the endeavors of picking the best quality one are what make your head hurt. 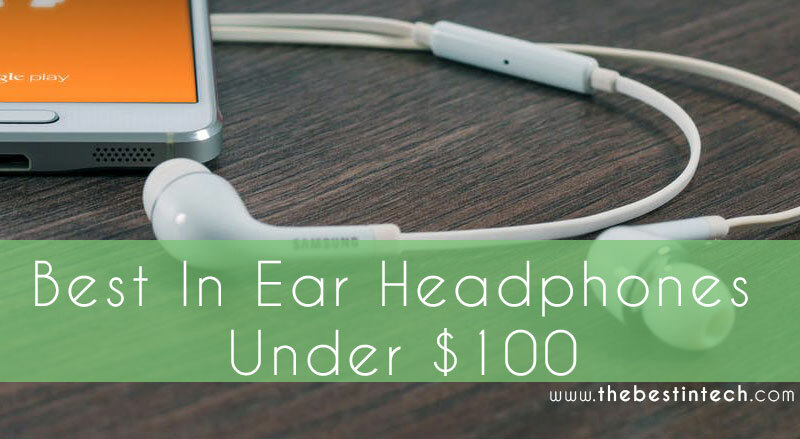 We fully understand this, which is why we carried out an extensive research to find out the best in-ear headphones under $100 and came up with the below-mentioned list. 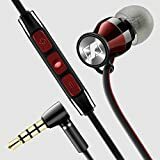 If you are looking for an overall great pair of in-ear headphones that have everything that is needed in good quality headphones, then 1More Triple Driver should be your choice. The model produces excellent high-resolution sound for making you enjoy every bit of the music. 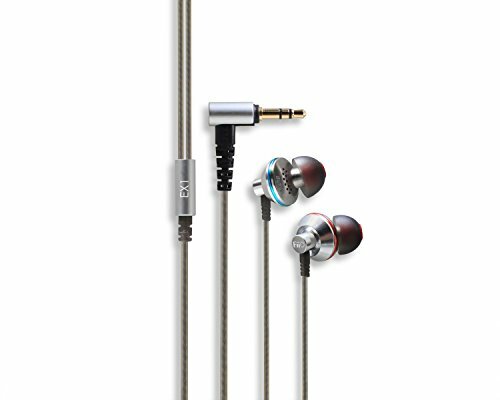 The beautifully designed Sennheiser﻿ Momentum in-ear headphones will make your music listening more interesting and fun. Due to the lightweight and ergonomic design, you can easily carry these in-ear headphones wherever you want, without even feeling they are there. For those of you looking for high-quality sound without spending a lot, the Klipsch R6 will definitely make you happy. Constructed with the same renowned design as their home theaters, these in-ear headphones will surely prove their worth for their minimal price. If you are a true audiophile, you need to buy the Fiio EX1. Not only does it provide exceptional sound quality across all frequencies, it is also quite durable and pocket-friendly option. 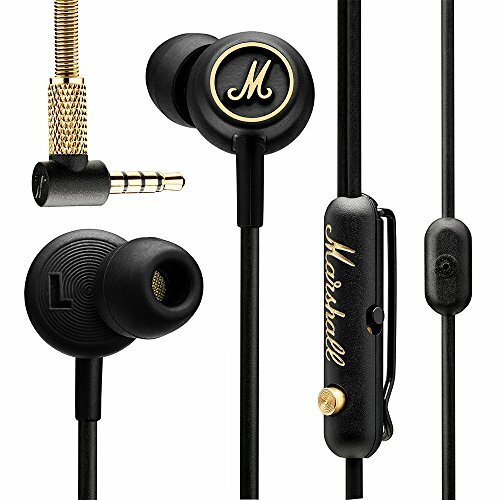 Marshall Mode EQ in-ear headphones will make your top choice if you are very specific about precise sound delivery at all frequencies. The EQ switch lets you personalize your music the way you like. Taking the top spot is the renowned pair of in-ear headphones from 1 More. These celebrated headphones have been designed by the notorious musician Luca Birgnardi. So, you can be assured of having a mindboggling, never been before sort of music listening experience. These headphones will make you feel like you are enjoying live music in the studio. The model features 3 drivers that result in giving you a very high-quality sound. The dynamic driver of the headphones lets you enjoy good quality bass. The headphones boast a very ergonomic design with a sturdy aluminum construction that makes it pretty reliable. You can easily keep it in your ears for hours and hours due to its lightweight body. And the angular design of the ear pieces effortlessly fit into your ear canals. This model produces very high-resolution sound with a frequency range that can go up to 40,000 Hertz. It also features integrated microphone with a 3 button remote that allows you to not only control your music but to also take the calls right away. The noise isolation of the headphones is also pretty remarkable as it lets you enjoy clear and crisp music in even the loudest of places. INTELLIGENT CONTROL TECHNOLOGY- In-line remote control is conveniently located allowing you to effortlessly control volume, select songs, and take calls. Superior MEMS microphone has independently set ground wires to eliminate cross-talk and background static. CONTENTS - Triple Driver In-Ear Headphones, 6 sets of silicone ear tips, 3 sets of foam ear tips, magnetic clasping traveling case, attractive storage case, quality dual prong airline adapter, matching shirt clip. Moving towards our next contender, which is the pair of Sennheiser Momentum in-ear headphones. These simple yet stylish looking headphones are sure to turn around some heads while you walk past people with these babies hanging in your ears. The appealing design of these headphones isn’t their only standout point; their performance is equally stellar to match their looks. With an ergonomic design, these in-ear headphones securely fit into your ear canals without making your ears feel their weight. The snug fit of the headphones also cancels all the background noise and results in giving you a very vibrant, crisp, and high-quality audio experience. Whether you want to enjoy good bass or treble, these headphones work exceptionally well across all the frequency ranges and deliver you very smooth and consistent music. Just plug these headphones into your mobile phone and enjoy the music to your heartiest gratification. This model, just like 1 More, also features in-line controls with a 3 button remote control. These controls make the use of these headphones even more convenient as you can rewind, play or forward your music without touching your phone. And you can even take calls without any problem. The construction material of the headphones might not be that great, but if you are careful enough, you will be able to use it for some time. If you are searching for a home theater kind of aural experience from your headphones, then you have to try the Klipsch R6. As you know that home theaters from Klipsch need no introduction, you’d be delighted to know that they have specially designed the R6 with the same engineering to provide you the similar excellent quality sound. Apart from the brilliant audio quality, the design and style of these headphones are also very user-friendly with great comfortability. Even within the budget range of $100, these headphones are more on the lower spectrum with a price of around $55, which makes themquite good for their price. These amazing headphones will revolutionize your music listening via in-ear headphones because of their dynamic micro speakers. 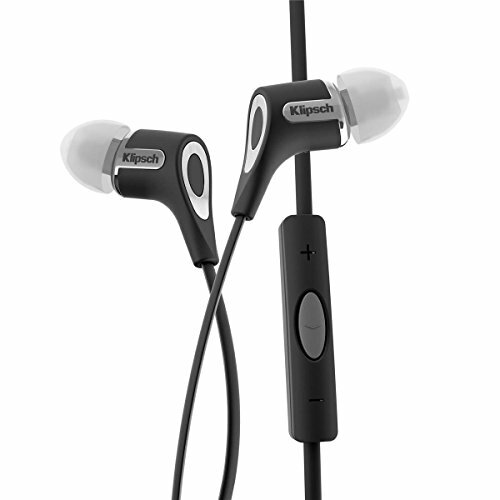 They deliver the exceptional and renowned Klipsch sound quality that the company is famous for. The earbuds easily fit into your ears without falling off and greatly minimize the background sounds. Their comfort level is so high that the company went on to patent their oval earbuds design. Once you put these inyourear canals, the only thing that makes you realize that you have something in your ears is the sound coming out of these. The overall build quality is pretty impressive. The headphones feature a tangle free cable that makes it convenient for you to lay it anywhere without any worries. The extra equipment that comes with the headphones includes a clip for attaching it your clothes, a case, and 3 different sizes of ear tips for seamlessly fitting everyone’s ears. They fit better. They feel better. They sound better...And only Klipsch has them! Another pocket-friendly option with almost half of our total budget limit of $100 is the Fiio EX1. These in-ear headphones may be inexpensive, but, do not for a moment think that they will have a compromised performance. If your whole& sole purpose of getting in-ear headphones is music then you can’t get anything better than these. Featuring a gorgeous and sleek design, the Fiio EX1 boasts an outstanding sound quality. The titanium drivers of the headphones work great throughout all the frequencies and deliver you a smooth and even sound. The headphones are especially great at delivering high-frequency sounds. So, if your music taste revolves around high treble sounds, you are simply going to love these. Apart from high frequencies, these headphones work great with the lower frequency sounds as well and deliver distortion-free bass. The headphones are designed in a way to reduce the resonance as much as possible for delivering you more accurate and detailed sounds. The metallic construction makes these headphones pretty durable and sturdy. So, you can invest in these without giving it a second thought because they will last for longer than your expectations. The last but still one of the bestpairs ofin-ear headphones is the Marshall Mode EQ in-ear headphones. These little monsters produce some trulyhigh-grade sounds. The personalized driver of the headphones delivers consistent quality music with the lowest level of distortion. You will find the design to be very friendly and comfortable to be used all day long without feeling a thing. The headphones come with multiple sized ear tips for easy custom fitting. The Marshall Mode also features in-line controls and microphone for making your use with mobile phones highly suitable. Apart from awesome sound quality, the design and build of the headphones are also commendable. And the tangle-resistant cable makes the storage of these in-ear headphones quite easy and worry free. The headphones also boast an EQ switch having dual settings with one for low frequencies and one for mid-high frequencies. Due to this EQ switch, you can customize your listening as per your desire. The basic reason for getting in-ear headphones is to enjoy music to its fullest. No one wants to spend their hard earned money on something that ends up giving them a horrible sound. Therefore, before you decide to buy in-ear headphones for yourself, you must be aware of a few things that affect the sound quality and performance of the headphones. A lot of factors are involved in that, on the basis of which we rate the overall performance. Let’s have a look at them. If the frequency ranges between 10-200 Hertz, it indicates that the music has extremely low tunes. And the angular distance of the frequency arch shows the strength and power of the bass. Every musical instrument has its own share of bass to contribute to the overall music. And you will notice that all the different genres of music show different levels and strengths of bass. A clear bass is one of the major factors to be taken into consideration while picking your in-ear headphones. The reason is, if a headphone has the ability to produce strong and clear bass, it can even be heard from the extremely lower side of the frequency range. For instance, while listening to metal tunes, you can evidently figure out the difference. 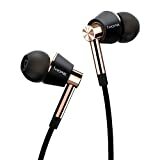 Having in-ear headphones that have excellent bass control will let you enjoy the music at its highest. They will keep giving the similar performance even if the drum control is too high or fast in the music you are listening to. There are many headphones that slow down their responses to higher basses. But, due to being slowed down, they lose the ability to provide you the accurate sound, as they are supposed to. Therefore, it is of high importance that the headphones you have picked have a great control over the bass because if they don’t, then they will destroy the mid-range frequencies as well. Generally, the music related to mid-range frequencies is most liked by the majority of the people. If you are into pop music or the kind of music where the use of vocals is high then you’d surely know what we are talking about here. Headphones that can deliver mid-range frequencies smoothly, allow you to hear the vocalist’s voice with sheer clarity. If the higher or lower frequencies of the music are more dominating, then the mid-range frequencies can get depressed. On the other hand, the mid-range frequencies can also take a leading position if the vocal sounds or the sound of guitar get too loud and overriding. Therefore, pick the ones that have a consistent performance at all frequency ranges. The highest frequency range of the music indicates the treble. The soundstage is also affected by it. The treble can be heard well only if the headphones work great with mid to high-range frequencies. If the headphones do not deliver even frequencies from the high-range, you may end up listening mixed up frequencies, which will give off a muffled impact. And the sound will be completely out of tune. For those of you who don’t know, soundstage is meant by the illusion of the placement of musical instruments playing in the music. If it’s still hard to comprehend then the example of a theater might make it easy for you to understand this point. When you listen to the music within a theater, you are listening to the creation of instruments within those given dimensions or space of the theater. The headphones also have the ability to create this sort of illusion. And the more realistic or seemingly “live” the music feels the better the soundstage of the headphones. So, while testing different in-ear headphones, do keep in mind checking the soundstage as well for a more awesome experience. Since there are a number of different instruments used in every kind of music that you hear, it is nothing but obvious that they all belong to different frequency ranges. If your headphones do not have the ability to separate the music from different instruments then you will end up listening to a muddled haphazard mash-up of instruments. A good pair of in-ear headphones should be able to deliver you music as it’s made. The headphones that can deliver all the frequencies correct will give you the best listening with a distinguishedsound of every instrument. For those of you who like to enjoy your music without any interruption or background noises, the sound isolation should be one of your topmost priorities while choosing. Noise isolation means how effectively your headphones cancel all the outside sounds to let you completely get lost in the music. The higher the noise isolation the better the listening experience. We use our in-ear headphones everyday more than we realize. Can you imagine exercising or running or doing your chores or even traveling in a subway without plugging your headphones in? No, right?Yeah, we can’t either. The point here is, when you are probably going to use it for the most part of the day, you have to be comfortable with it. If your headphones do not fit in comfortably, you can badly irritate or hurt your ears. There’s no denying that sound quality should be your first priority but don’t take the comfort part lightly either. Because, if you are not comfortable with their presence in your ears, how in the world are you going to enjoy your music at all? Another thing that distinguishes a good pair of in-ear headphones from that of lower quality ones is their construction. A well-built hands-free is going to last for many years to come whereas a delicate one can get damaged in a snap. Integrated controls and microphone make it easier for you to control your music without touching your phone. You can also pickup your calls directly by simply pressing the button on the remote. Although we are limiting our choice here by putting a budget filter on our options, we can still pretty much see a lot of great quality in-ear headphones within a range $100 as mentioned in the list above. All of them have something special that makes them the best of their kind, so it’s hard to suggest a single one to you. In this list, we have only added the ones that will meet everybody’s requirements and are excellent in their overall performances. So, no matter which one you go for, you will end up making your ears really happy.